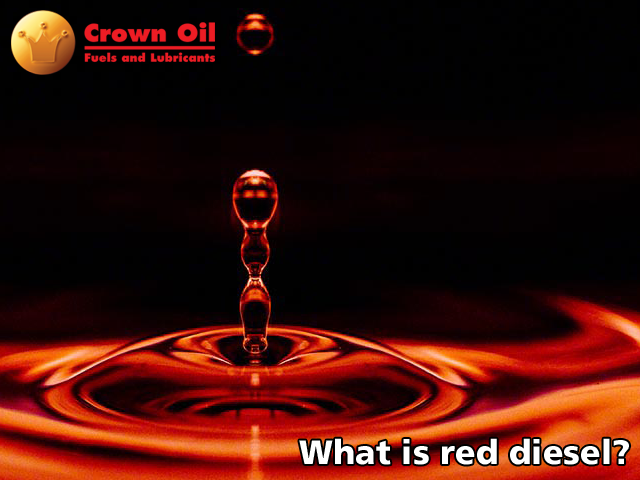 Whether you have or haven’t heard of red diesel before, our guess is that you will always have questions regarding its usage, purpose or legality. Red Diesel (the marking of rebated Gas Oil) has been around since 1961 and although not much has changed regarding the laws, some things have changed in that time and as a user we must remain up to date so that we can remain on the right side of the law. As an employee of a red diesel supplier, I come across frequently asked questions from our customers, friends and sometimes myself so I thought I’d prepare this article to hopefully give you a detailed insight without boggling your head with too much jargon. Before we begin talking about red diesel, it is important to point out that this is a specialist diesel fuel which can only be used under certain circumstances within certain industries. This guide to red diesel is designed to educate and enlighten, however, for individual requirements and laws surrounding your usage please refer to a specialist supplier or check with HMRC. If you would like today’s latest red diesel price. Please, call: 0845 313 0845 And one of our team will be more than happy to assist you. Red diesel is a marker-dyed version of the better known and commonly used, road diesel. Unlike red diesel, road diesel which is also known as white diesel has no legalities to its usage. The red marker dye was originally added to help HMRC and other law enforcement officers recognise the illegal usage of red diesel and prosecute those doing so. This may seem like a harsh thing to do, but red diesel is a rebated fuel which means you don’t pay as much tax on the purchase of it, therefore using red diesel in your car on the road, rather than using road diesel, could land you in a whole heap of trouble if you’re caught. The original purpose of allowing diesel-engine vehicles to use red diesel was to provide a tax relief when the use of the public roads was incidental or minor. 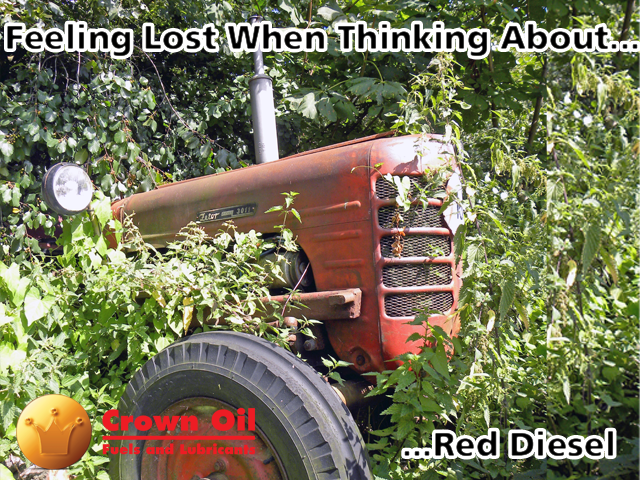 Agriculture – The farming industry use red diesel in tractors and machinery. Tractors can use the roads as long as the purpose is to reach farmland which is divided by a public road. Construction – The use of cranes, diggers and machinery is eligible to use red diesel fuel. In the construction world, red diesel is used on-site and cannot be used in vans which will later use the roads. Councils and Horticulture – Vehicles used for gritting purposes and ride-on lawnmowers are also allowed to use red diesel. Other uses include fuel for heating. An example would be heating fuel on a boat, however, the fuel must be clearly labelled as rebated fuel and should not be used for any other ineligible use. Red diesel, just like many other fuels, has picked up one or two names over the years so you may hear one person refer to it as something which you don’t understand. You don’t have to be a polyglot to know the different names as they’re quite easy to understand and below is a list of the many variations for red diesel. Gas Oil – This term is commonly used in construction and farming. Cherry Diesel – A term mainly used throughout the construction industry. Medium Diesel – Is another construction term for red diesel. 35 Seconds – Known by many users of red diesel for heating fuel. Tractor Diesel – Mainly used in the farming industry. Agricultural Diesel – This is another farming industry term. Generator Fuel – A term used in data centres for their backup generator diesel. All of the listed names are for the same fuel but because of the many industries in which red diesel is used, it’s inevitable that slang terms like those above will always be made to refer to it. The price of red diesel is a lot cheaper than regular road diesel because of the relief which you get on it. The rebated rate of duty for red diesel is 3.13ppl whereas regular diesel has a main duty rate of 45.82ppl. Prices for oil change frequently and so the prices of red diesel differs from one day to the next and prices change depending on your supplier, quantity and location. Red diesel, therefore costs considerably less than regular diesel but it isn’t for everybody and using it illegally can cost you much more in fines and prosecution. If you would like to learn more and discuss your red diesel requirements with our friendly team. Call today on 0845 340 3986.